Students have to name the hobbies in the images using sentences. Then they have to solve some exercises on the present simple / present continuous and the weather. 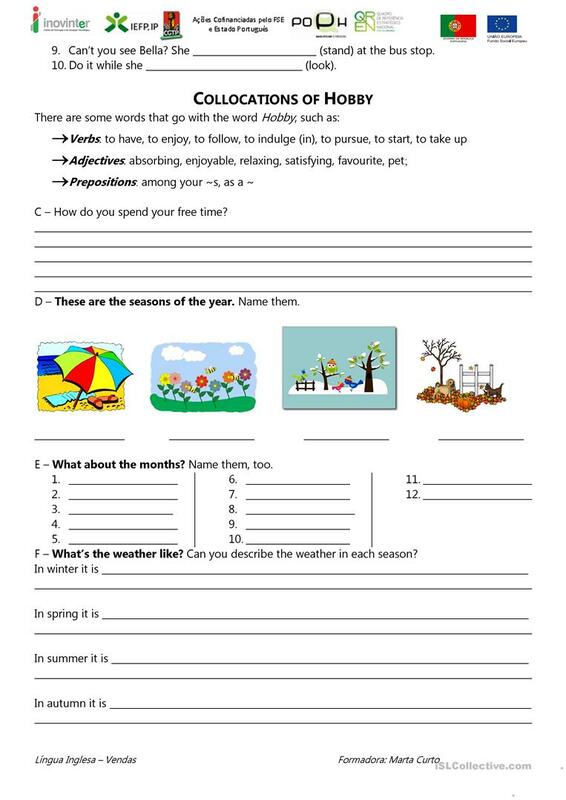 This downloadable handout is intended for elementary school students and adults at Elementary (A1) level. 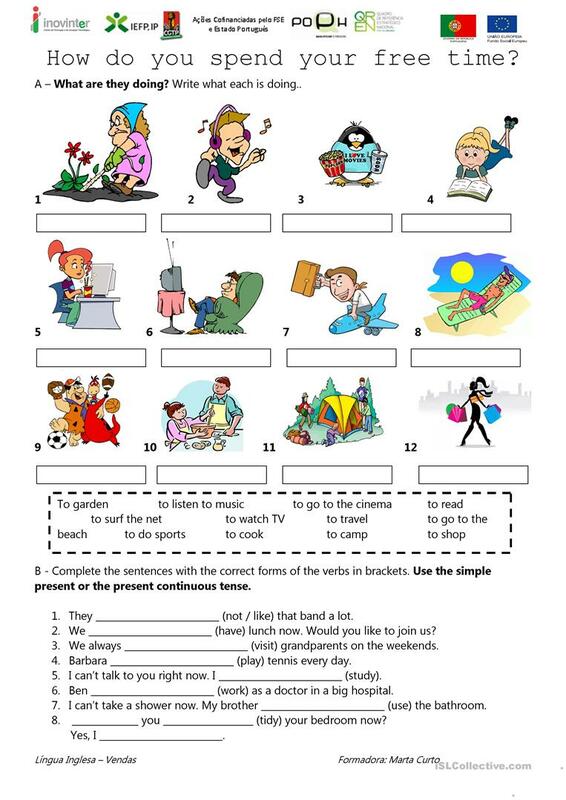 It is great for revising Present simple vs continuous (progressive) tense in English, and was designed for enhancing your students' Spelling, Reading and Writing skills. It is about the theme of Hobbies. Istruka is from/lives in Portugal and has been a member of iSLCollective since 2011-05-31 14:12:16. Istruka last logged in on 2019-04-23 01:06:06, and has shared 1 resources on iSLCollective so far.